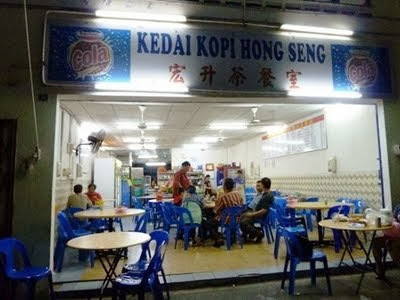 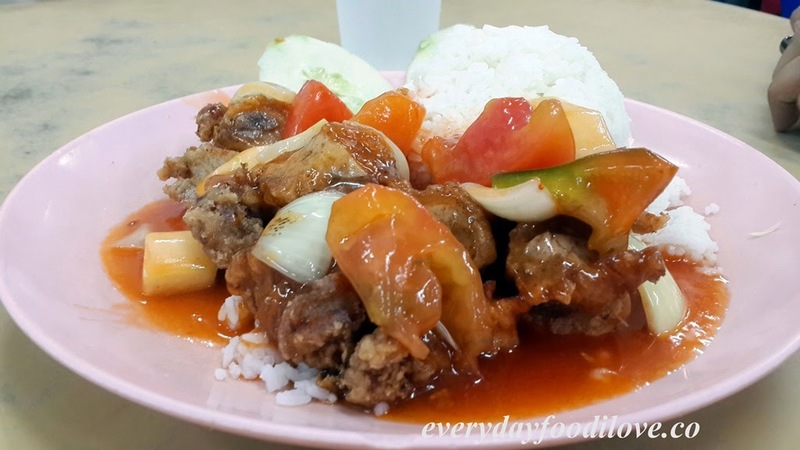 Crispy and meaty Chicken Chop topped with sweet and sourish sauce, accompanied by tomato and onion, served with rice. 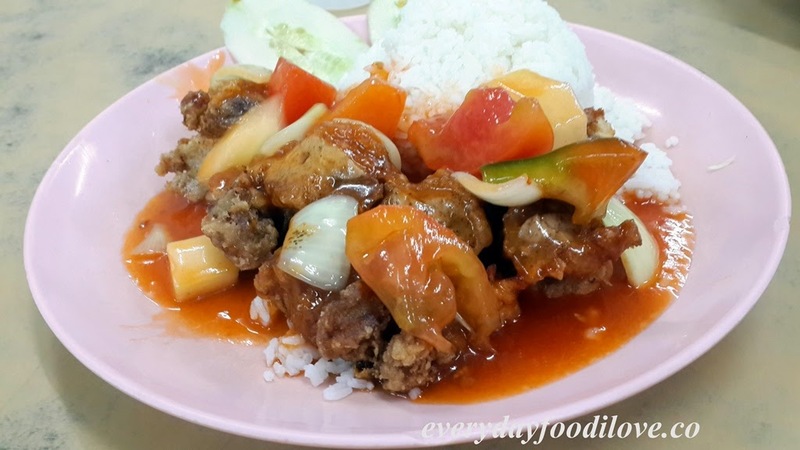 This dish definitely tasted as good as it look! 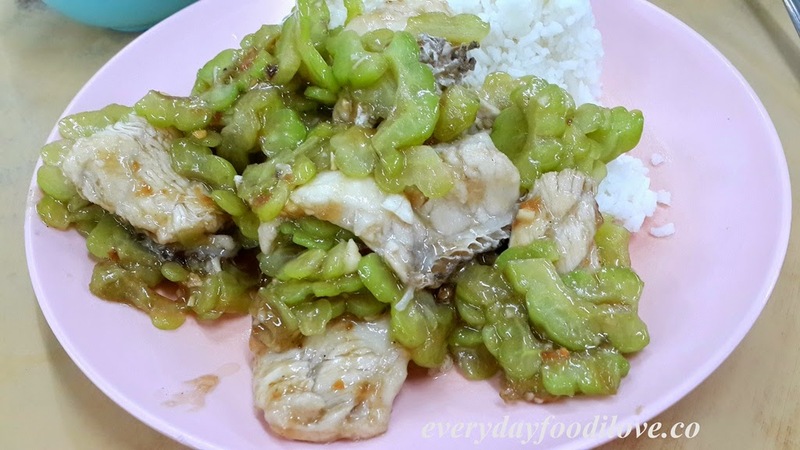 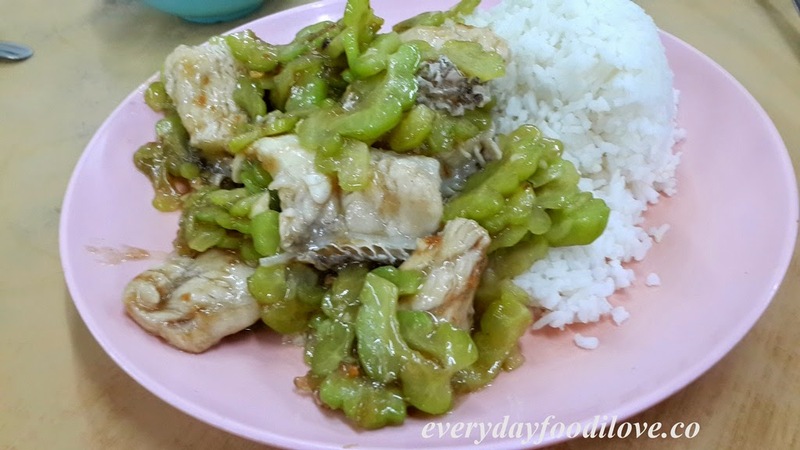 Thickly sliced, fresh and succulent fish fillet stir-fried with bittergourd is a savoury dish that goes really well with rice. 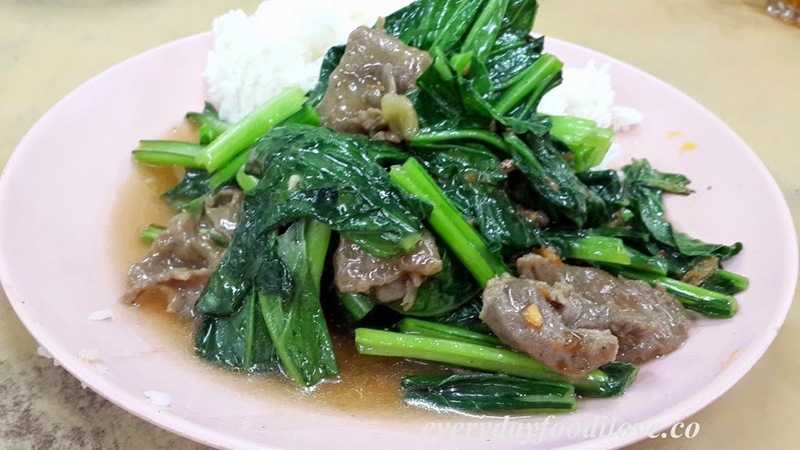 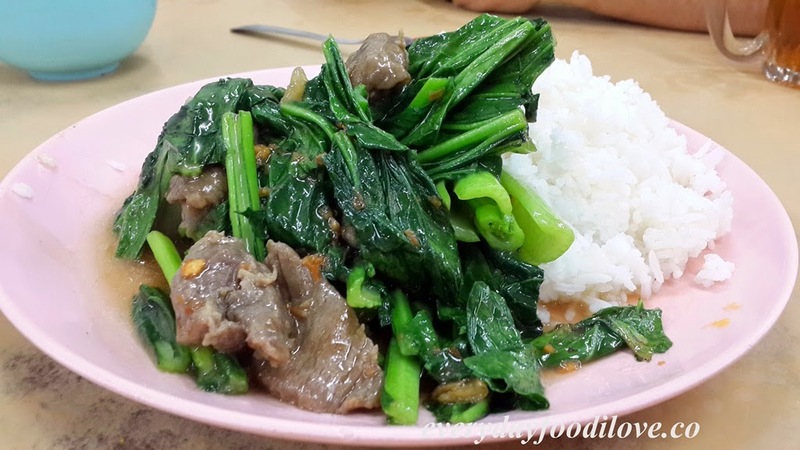 When ordering Choy Sum stir-fried with beef, you can have both vegetable and meat in one dish. 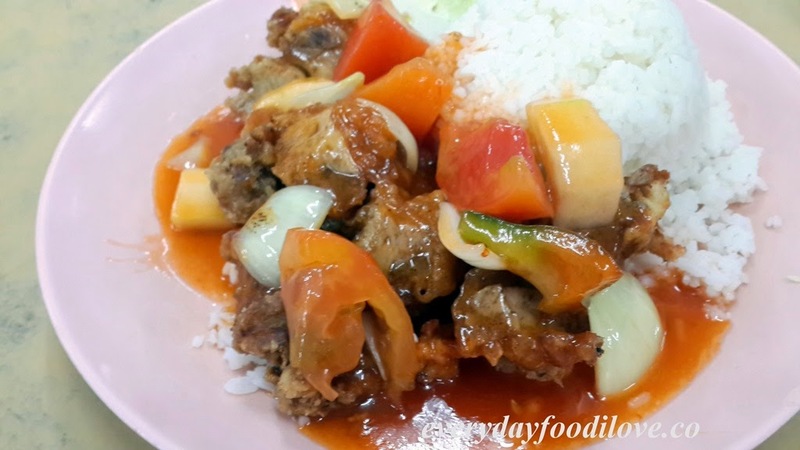 Goes with rice, it made a balance meal for lunch or dinner.